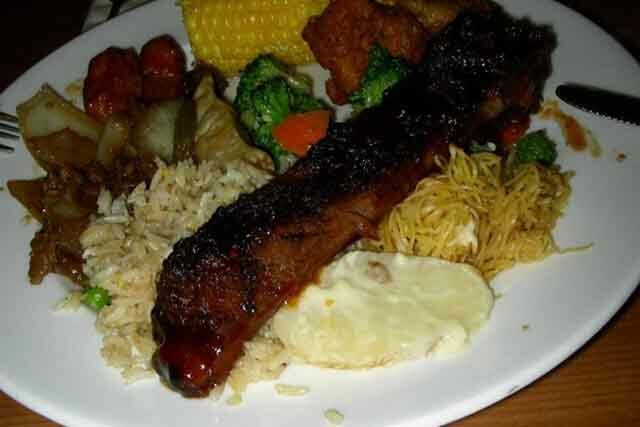 If you are looking for food with a fantastic show, the Round Table Buffet is definitely the place you want to be. Located in the Excalibur Hotel and Casino, the Round Table Buffet is set in the time of King Arthur and the Knights of the Round Table. You will receive excellent food from a variety of cuisines while you watch Knights joust in a typical medieval show. This entertaining live-action show is one of the favorite parts of the show, but the food is definitely a close second! Perfect for meat and seafood lovers and vegetarians, the Round Table Buffet boasts something for everyone and seating for close to one thousand people. The breakfast is perfect with eggs made to order, a variety of pastries, and all the scrumptious breakfast meats that people love. Lunch brings on a variety of contemporary and gourmet flavors, and dinner offers everything from home-cooked to mouth-watering delicacies you probably will not find anywhere else. With food, entertainment, and atmosphere like this it is no wonder this great buffet is visited as much as it is. This has to be our favorite Buffet in Vegas. Great food at a good price. This is one Buffet, if you walk away from hungry, it's your own fault. 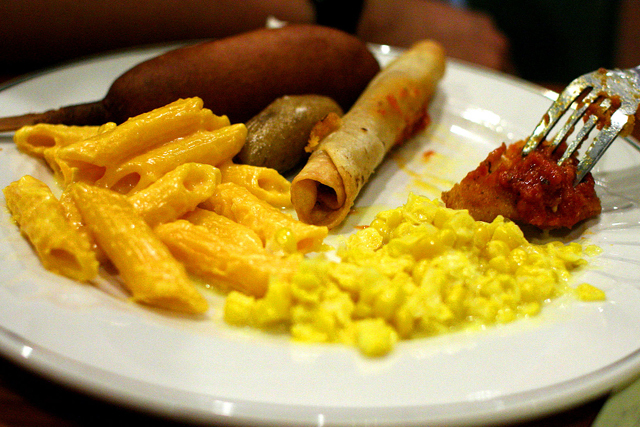 To anyone that hasen't tryed the RoundTable Buffet,give this one a try. It will make your day.